This is the new ad that will be in the next issue of the “American Frontiersman.” There will also be a very nice article on our ASL knives in the same issue. This new magazine is worth getting a subscription to for the articles on survival and living on the frontier. If you ask just about anyone, the name “ Bandolier” immediately brings to mind an image of banditos along the border or gringos fighting for gold with Pancho Villa, galloping soldiers with criss crossed belts full of rifle and pistol bullets, or Mexican revolutionaries invading New Mexico. 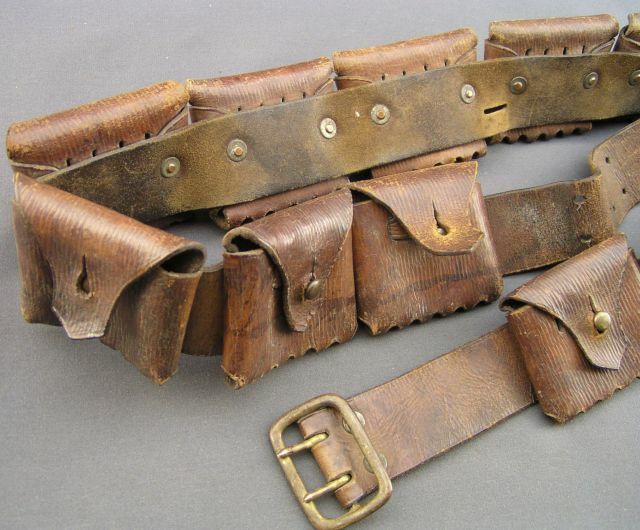 When you begin to study the research you will find that there were many variations of this belt at the turn of the century and they were more complex than just loops on a belt. The Bandolier’s popularity got a huge booster shot in the arm after the 1969 western “The Wild Bunch,” by director/co-writer Sam Peckinpah. 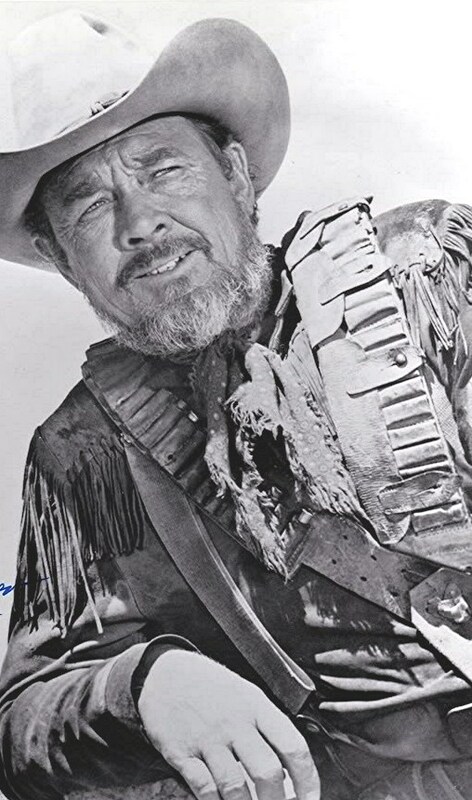 You can clearly see the Pattern 1882 flap bandolier, as well as the open loop style, being worn by Ben Johnson as a member of an aging outlaw band on the Texas-Mexico border struggling to exist as the changing world at the turn of the century threatens to engulf them. The Bandolier next was constantly visible in the “Star Wars” series of movies. Up until this point most bandoliers, even pre-1900 styles were plentiful and could be purchased for a very low price. Now, with so many folks collecting and re-enacting both of these movies, prices for good examples often go for over $200.00 if they can be found. One hundred year originals are often brittle or moldy and are not suitable for rough use. Therefore quality reproductions are actively sought after. At this time, with our research we can not find an American made flap bandolier of any style available. Chisholm’s Trail will now produce bandoliers with the best quality possible and made in the USA. Steer clear of foreign reproductions, they are very thin and have a terrible chemical smell which just can not be removed. Three basic styles were prevalent: those with exposed bullets and loops, others with the loops and bullets covered with a flap, and finally actual pockets with flaps. The number of bullets and placement varied greatly as well as the makers. Homemade bandoliers usually were just loops sewn onto a belt and secured with a single or double tongue buckle. Colors ranged from natural through the shades of brown and black. As bullets changed, the folks that wore bandoliers found ways to tighten or open up the loops to fit the newer cartridge sizes. 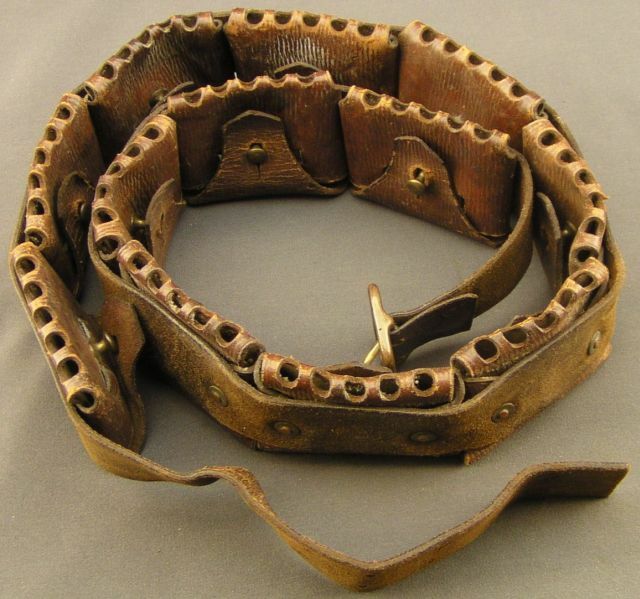 Many leather crafters copied bandoliers for their customers when military sources did not provide enough or other sizes were needed. In the US we refer to items as Model number or name. In Britain the items are called Pattern this or that. The most common flap styles were variants of the British and other commonwealth nations. These saw use from the Turkish Ottoman Empire to the Mexican revolution and on to WW1 & WW2. 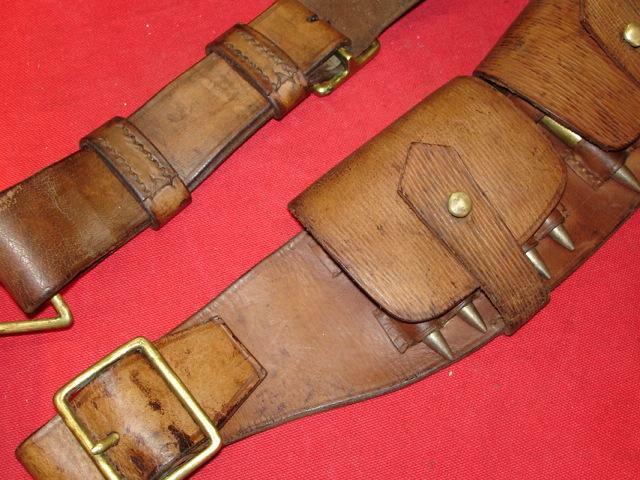 The photo on the left shows the common straight belt with loops next to the curved 1882 bandolier belt. We are looking for an original of this style. If you have one you would sell or let us borrow for a pattern, we would be grateful! 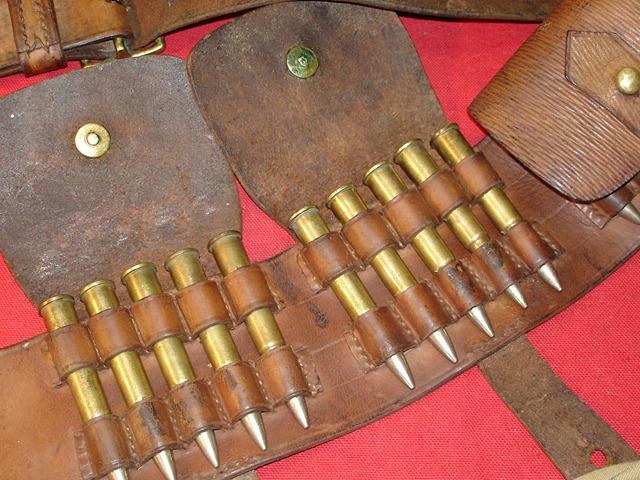 PATTERN 1901 Bandolier with bullets poking through holes in the bottom. Chisholm’s Trail will be reproducing some of these and will be getting assistance with others to keep the prices reasonable. Order yours today to develop your Bandito persona or carry your Wild Bunch ammo.